After earning a degree in Spanish literature from USC, David Lopez joined USC’s Media Arts + Practice program as an interactivity designer. For over five years, he has worked with faculty and students across disciplines to transform ideas into interactive, digital environments. He has consistently worked to facilitate multimedia results from raw scholarly enquiry. Flexible across multimedia authoring programs, Lopez consults with many levels of the university community to craft interactive and other navigational elements, pushing academic work beyond the page. 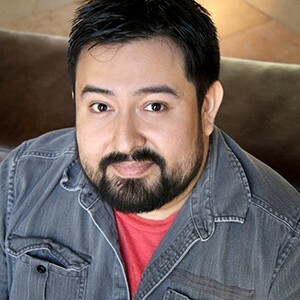 Recently, Lopez helped develop large-scale faculty multimedia projects such as Ghost Trajectories, an interactive history of Los Angeles, and We the Paranoid, a Web-based multimedia book. In conjunction with the Honors in Multimedia Scholarship program, Lopez advises students, conducts tailored multimedia seminars, and coordinates complex media production.